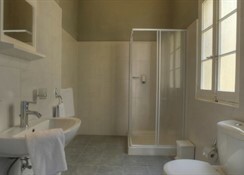 The Astra Hotel is located in a central position next to the Sliema Promenade. All major cultural sites are easy to visit with public transport available a few metres away. 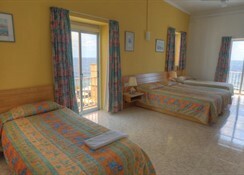 Just below the Sliema Promenade is a rocky beach which extends all the way to St. Julians located about 5 km away.--Hotel is an old hotel totally refurbished and completed in 2011 whilst retaining all the characteristics of the fifties. 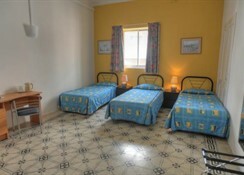 The hotel is not pretentious but comfortable, airy and having plenty of light. The building has been planned to be as eco friendly as possible. Breakfast is served in a ground floor restaurant next to the reception lounge. 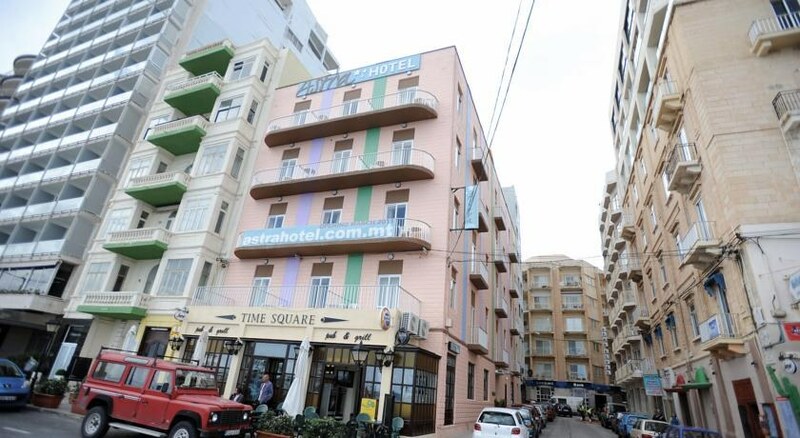 Features a sun terrace with panoramic views of the Mediterranean Sea.--TThe hotel consists of 36 bedrooms accommodating 100 beds in twins, triples and quadruples. 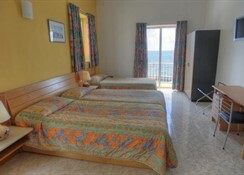 12 rooms have balcony and a sea view and another 9 rooms have a balcony. 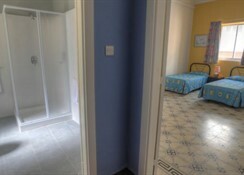 The bedrooms are very airy, large with plenty of light. 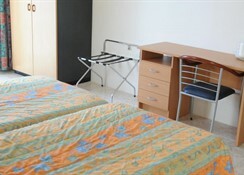 All are equipped with a free Wi-Fi, telephone, LCD T.V., ceiling fan and bathroom with shower cubicle.